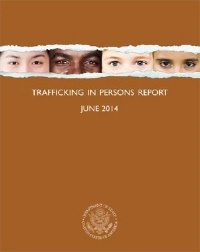 On June 20, 2014, the U.S. Department of State released its Trafficking in Persons Report 2014 (TIP). Because of this blogger’s special interest in Cuba, a subsequent post will analyze this Report’s assigning Cuba to Tier 3. Since 2000 the U.S. has had a series of federal statutes addressing efforts to combat human trafficking. The first such statute was the Victims of Trafficking and Violence Protection Act of 2000 that required, in part, certain annual reports on trafficking. Subsequent federal statutes were the Trafficking Victims Protection Reauthorization Act of 2003; the Trafficking Victims Protection Reauthorization Act of 2005; the William Wilberforce Trafficking Victims Protection Reauthorization Act of 2008; and the Trafficking Victims Protection Reauthorization Act of 2013 [Title XII of the Violence Against Women Reauthorization Act of 2013]. See 22 U.S.C., ch. 78. A prior post discussed the March 22, 2013, resolution by the General Assembly of the Organization of American States (OAS) that strengthened the Inter-American Human Rights System, especially the Inter-American Commission on Human Rights (“Commission”). In so doing, the OAS rejected efforts to weaken the Commission under the guise of reform proposals that had been offered by Ecuador and other states that the Commission has criticized (Venezuela, Bolivia and Nicaragua). 1. Multilateral Treaties and Other Instruments Regarding the Right of Free Expression. The right of free expression by the media and others is well established in international law. The United Nation’s General Assembly’s Universal Declaration of Human Rights of 1948 in Article 19 states, “Everyone has the right to freedom of opinion and expression; this right includes freedom to hold opinions without interference and to seek, receive and impart information and ideas through any media and regardless of frontiers.” In 1966 this was put into legally enforceable form in Article 19 of the International Covenant on Civil and Political Rights, which entered into force in 1976. Elaborating on this right is the Inter-American Declaration of Principles of Freedom of Expression of 2000. 2. Ecuador’s Hostility to Freedom of Expression. 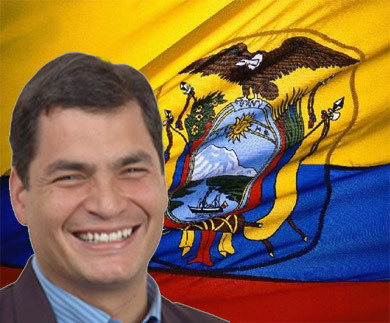 Ecuador under the presidency of Rafael Correa since January 2007 has through policies and actions retaliated against journalists and media that have criticized him and his government. Correa has insulted and filed lawsuits against reporters and news outlets and promoted a series of legal measures to roll back press freedoms. His government has expropriated television channels, radio stations, newspapers and magazines. Journalists in the country also have been subjected to physical threats and assaults with lackluster efforts by the government to investigate and prosecute those responsible. 3. The Commission and Civil Society’s Criticism of Ecuador’s Hostility to Freedom of Expression. 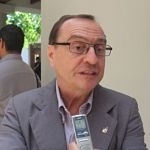 This Rapporteur has been in the forefront of criticizing Ecuador for these actions against journalists and the media. Since January 1, 2009 it has issued nine press releases expressing its concern over specific criminal prosecutions and imprisonments of journalists for libel for publication of articles about corruption of public officials and for specific physical threats and assaults on journalists. In addition, since 2006 the annual reports of the Rapporteur have had sections specifically addressing Ecuador’s conduct in this area. For example, the latest such report (for 2011) devotes 31 pages (78-108) for a detailed, footnoted review of Ecuador’s assaults and attacks on media and journalists; legal proceedings and arrests (the “Rapporteur is concerned about the consistent tendency of high-ranking public officials to rebuke, arrest, and prosecute citizens who criticize them at public events”); presidential broadcasts and government interruptions of news programs; disparaging statements by senior state authorities against media outlets and reporters critical of the government; constitutional amendment and legislative proposals to regulate the content of all media, establish the grounds for liability and the applicable sanctions and serve as an authority on enforcement; and cloture and regulation of communications media. Such actions also have subjected the country to similar criticism by the U.N. Human Rights Council in its Universal Periodic Review of Ecuador in the summer of 2012. One of the Council’s closing recommendations in that Review was for Ecuador to reform its legislation regarding freedom of expression with a view to bringing it in conformity with international standards and those of the Inter-American Commission on Human Rights. In response Ecuador said that it could not agree to reform its legal framework in accordance with standards from the Commission, when it is the Inter-American Court of Human Rights, not the Commission, which has judicial competency over this matter. Nor could Ecuador, it said, eliminate laws that criminalize opinion since it had no such laws. In addition, Ecuador has been severely chastised by the Committee to Protect Journalists, which put the country on its Risk List of the 10 countries in the world where press freedom suffered the most in 2012. Similar rebukes have come from Human Rights Watch, Freedom House and the Washington Post Editorial Board. 4. Ecuador’s Campaign for Its Proposed “Reforms” of the Commission. In response to the Special Rapporteur’s persistent and documented criticism of Ecuador, the country developed a set of proposals to “reform” the Commission. Prominent in this package were reduction in funding (and hence the work) of the Special Rapporteur and elimination of his separate annual report. In early 2013 Ecuador conducted a lobbying campaign in support of these proposals. Its Foreign Minister, Ricardo Patino, went on a tour of Mexico, Chile, Argentina, Brazil, Colombia, Dominican Republic, Haiti and Venezuela to promote them. He also advocated them at a meeting of the Political Council of the Bolivarian Alliance for the Peoples of Our Americas (ALBA)  and at a March 11th meeting in Guayaquil, Ecuador of the 24 states that were parties to the American Convention on Human Rights. The latter event was opened by a long speech by Ecuadorian President Correa, who emphasized that the Commission should have its headquarters in a state that has ratified said Convention (not Washington, D.C.); that the Commission should have its own budget provided only by state parties to the Convention (without voluntary contributions by outsiders like the U.S., Canadian and European governments and NGO’s); that the Commission should not be “autonomous” and instead be controlled by said states parties; the abolition of the Commission’s rules authorizing its issuance of precautionary measures; having the Commission focus on general promotion of human rights, not investigating and deciding on alleged violations of human rights; and elimination of the separate annual report of the Special Rapporteur for Free Expression and instead including such a report in a comprehensive report for all of the rapporteurships. The Ecuador meeting resulted in the Declaration of Guayaquil whereby the 24 states parties agreed that at the March 22nd meeting of the OAS General Assembly they would support the following: a group of their foreign ministers would press the U.S., Canada and other non-parties to the Convention to ratify or accede to same; the Commission would be refocused on promotion of human rights through national systems; financing of the Commission would be increased by states parties and by “neutral” others; all rapporteurships would be treated equally; an analysis of the costs of the OAS Human Rights System would be obtained; the Commission’s headquarters would be moved to a state party; and annual conferences about reforming the System would be held. Opposition to such proposals came forward from the U.N. High Commissioner for Human Rights, Navi Pillay, who urged the OAS members “to strengthen its exemplary human rights system, by promoting universal access for citizens . . ., respecting the Commission’s autonomy to progressively improve its policy and practices in response to the needs of victims and concerns of member states, and providing the necessary resources [to the System].” Similar concerns were voiced by Amnesty International, Human Rights Watch, the Committee to Protect Journalists, Freedom House, a group of 98 prominent Latin Americans and a coalition of 700 hemispheric human rights organizations. 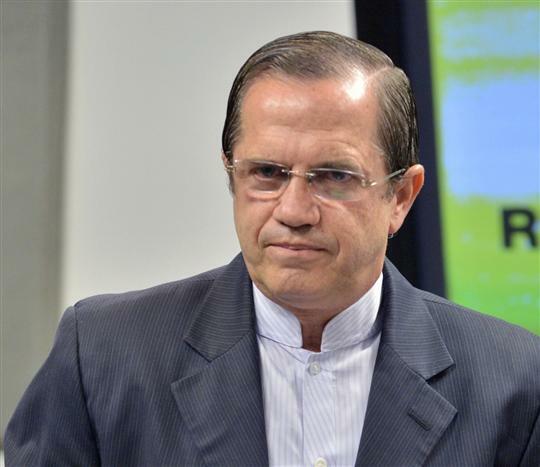 Ecuadorian Foreign Minister Patino in his remarks accused the opposition and the media of distorting his government’s proposals. He also accused the Commission of improperly assuming the power to issue precautionary measures. Its decisions were independent, he said, but the Commission was not autonomous. He rhetorically asked, the Commission is autonomous and independent of whom? Sotto voce, a Spanish journalist answered, “You,” causing laughter by those around the journalist. The resolution adopted by acclamation at the midnight conclusion of the March 22nd meeting already has been discussed. It clearly did not adopt all of the items in Ecuador’s package. Towards the end of the meeting Ecuador and Bolivia threatened to withdraw from the Commission and leave the meeting. To avoid such a rupture, Argentina offered a face-saving amendment to the resolution about the OAS’ Permanent Council continuing the dialogue on the “core aspects for strengthening” the System, which Ecuador and the other ALBA countries ultimately accepted. Afterwards Ecuador’s Foreign Minister tried to whitewash his country’s defeat by saying that the resolution accepted its proposal to continue the debate in the future. Before the next meeting of the OAS General Assembly in June 2014, the Foreign Minister said that there would be another meeting of the states parties to the American Convention like the one on March 11th in Guayaquil to discuss these issues. 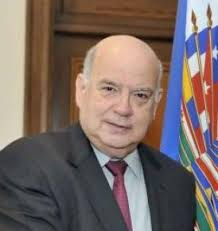 He also hinted at Ecuador’s possible withdrawal from the OAS Commission by saying there was an agreement being negotiated to create a Human Rights Commission of the Union of South American Nations (UNASUR). Unless there are unexpected changes in regimes or policies in this Hemisphere over the next 14 months, I do not expect Ecuador and its allies will be successful at the June 2014 OAS meeting in gaining acceptance of its proposals to weaken the Inter-American Commission. We will then see if this small group will leave that Commission and form its own, more limited, human rights system. ALBA is an alternative to the U.S.-sponsored Free Trade Area of the Americas. differing from the latter in that it advocates a socially-oriented trade block rather than one strictly based on the logic of deregulated profit maximization. The only members of ALBA are Ecuador, Bolivia, Venezuela, Nicaragua and three small Caribbean states (Antigua and Barbuda, Dominica and Saint Vincent and the Grenadines. This campaign is discussed in press releases from Ecuador’s Foreign Minister. Such a limitation on financing undoubtedly would result in a reduction of such funding and thus on the work of the Commission. I assume that Ecuador has another burden to overcome in attempting to win support for its “reform” proposals. Its credibility within the OAS, I suspect, has been adversely affected by its recent exaggerated, alarmist call for an OAS Consultative Meeting of Foreign Ministers over the alleged United Kingdom threat to invade Ecuador’s London Embassy because of its providing diplomatic asylum in that Embassy to Julian Assange. Requested the Inter-American Commission on Human Rights (“Commission”), an autonomous OAS organ that promotes and protects human rights in the American hemisphere, to continue to move forward with application of its responses to suggestions for reform by a special working group and the Commission’s March 18, 2013, reform of its rules. Instructed OAS’ Permanent Council to continue the dialogue on the “core aspects for strengthening” the System. Urged the Commission to put into practice pending recommendations for reform. System through OAS’ Regular Fund “without prejudice to the financing of the other mandates” of the OAS. Requested the OAS Secretary General to submit to the OAS Permanent Council “a detailed, up-to-date analysis of the full operating costs” of the System. Understanding the significance of this resolution requires elaboration. Restrict the Commission’s discretion in granting “precautionary measures,” by, among other things, setting forth “precise objective criteria” for granting same and determining whether the situation was “serious and urgent.” The addition of such criteria would help states as well as alleged victims who are affected by such measures. Require its annual report to cover human rights conditions in all OAS members, not just those with the most pressing problems. Reduce the activities and funding of the Special Rapporteur on Freedom of Expression by eliminating its separate funding and instead requiring balanced funding of all rapporteurs as well as eliminating this one’s special report. Require the Commission to devote more time and resources to the general promotion of human rights and thereby reduce its time and resources to deciding individual complaints. Impose restrictions on the Commission’s decisions regarding individual complaints. 1.2. Commission’s Responses to Recommendations of Special Working Group. On October 23, 2012, the Commission issued its second response expressing agreement with most of these recommendations. Moreover, the request for balanced or equal allocation of resources legitimately was seen as a back-door way to reduce the funding for the Rapporteurship for Free Expression and hence its work, an objective of those states that had been criticized for retaliation against journalists and media for criticism of the governments. 1.3. Commission’s Recent Changes in Its Rules and Policies. On March 18, 2013 (only four days before the OAS General Assembly was to consider the whole subject of reforming the System), the Commission adopted a resolution amending its rules and adopting certain institutional policies, effective August 1, 2013. The rules that were changed were Rule 25 (Precautionary Measures); 28 (Requirements for the Consideration of Petitions); 29 (Initial Processing); 30 (Admissibility Procedure); 36 (Decision on Admissibility); 37 (Procedure on the Merits); 42 (Archiving of Petitions and Cases); 44 (Report on the Merits); 46 (Suspension of Time Limit to Refer the Case to the Court; 59 (Annual Report); 72 (Experts); 76 (Provisional Measures); and 79 (Amendment of the Rules of Procedure). These changes adopted many of the suggestions made by the Special Working Group. For example, one of the more signficant changes was to Rule 25 covering precautionary measures, which are actions the Commission requests a state to take to prevent irreparable harm to persons or to the subject matter of the proceedings in connection with a pending petition or case before its final resolution on the merits, as well as to persons under the jurisdiction of the State concerned, independently of any pending petition or case. The amended rules more precisely identifies the situations for same as “serious and urgent situations presenting a risk of irreparable harm to persons or to the subject matter of a pending petition or case before the organs of the inter-American system” and provides definitions of “serious situation,” “urgent situation” and “irreparable harm.” It also provides that decisions granting, extending, modifying such measures shall contain certain elements. Foremost among the new institutional policies was the establishment of the following priorities: promotion of universal ratification of the American Convention on Human Rights and other similar instruments; promotion of economic, social and cultural rights; and development of a plan for a permanent presidency. Other adopted policies generally concerned measures to increase public transparency of the Commission’s activities. 2. Permanent Council’s Continuing Dialogue on Core Aspects of Reforming the System. Although most states and their representatives were ready to end the reform process with the adoption of the March 22nd resolution, they accepted this “open door” for further dialogue as a way to keep those states less friendly to the Commission (especially Ecuador, Venezuela, Bolivia and Nicaragua) involved in the Human Rights System and not renounce the American Convention on Human Rights and other treaties. 3. Commission’s Implementing Pending Reform Recommendations. I do not know what is meant by “pending [reform] recommendations,” and I solicit comments explaining this point. Presumably this refers to the Commission’s March 18th adoption of amended rules and of policy priorities. 4. Commission’s Strengthening Promotion of Human Rights. This is a commendable goal. The problem arises when decisions have to be made for allocation of insufficient financing of all the things that the Commission and Court would like to do to fulfill their mandates. In my opinion, such promotion should not come at the expense of reducing efforts on resolving specific complaints about alleged violations of human rights. 5. OAS’ Obtaining Full Financing of the System. This too is a commendable goal. The problem arises when decisions have to be made for allocation of insufficient financing of all the things that the Commission and Court would like to do to fulfill their mandates. 6. Analysis of Full Operating Costs of the System. This sounds like a straight-forward cost analysis of the Commission and the Inter-American Court of Human Rights (“the Court”). 7. Commission’s Strengthening of Rapporteurships. There now are the following Rapporteurships on the Rights of (i) Indigenous Peoples, (ii) Woman; (iii) Migrant Workers and Their Families; (iv) the Child; (v) Human Rights Defenders; (vi) Persons Deprived of Liberty; and (vii) Afro-Descendants and Against Racial Discrimination. Subject to the qualification about outside funding designated for specific purposes, there is no quarrel with the objective of strengthening all of the rapporteurships. 8. Obtaining Universality of Ratification/Accession of the American Convention on Human Rights and Acceptance of Contentious Jurisdiction of the Inter-American Court of Human Rights. Of the 34 members of the OAS, only 9 have not ratified or acceded to the American Convention on Human Rights with the U.S. and Canada being the major exceptions. Nor have the U.S. and Canada and 10 other states accepted the jurisdiction of the Inter-American Court of Human Rights to decide cases of their alleged violations of that Convention. 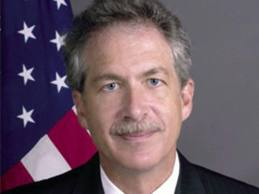 The desire for universality expressed in this resolution, in my opinion, is appropriate even though I suspect it is motivated in part by the understandable resentment of the U.S. for not accepting the Convention and the Court’s jurisdiction while simultaneously criticizing other states in the Hemisphere for their violations of human rights. The previously mentioned controversial recommendations by the Special Working Group were promoted by states that had been targets of individual complaints and of criticisms by the Special Rapporteur on Freedom of Expression. Foremost among these states was Ecuador, which has become notorious for its legal claims against the media for criticism of its government and by states that understandably resent the U.S.’ not being a party to the American Convention on Human Rights and not consenting to the contentious jurisdiction of the Court. This background will be discussed in a subsequent post. The author would like to thank Mexican attorney, Juan Carlos Arjona Estevez, for his assistance in preparing this post. Muchas gracias, amigo! This photo is subject to license with OAS. The OAS was established in 1951 to achieve among its member states “an order of peace and justice, to promote their solidarity, to strengthen their collaboration, and to defend their sovereignty, their territorial integrity, and their independence.” Its supreme organ is the General Assembly, which is composed of delegations of the member states. The OAS Human Rights System includes the Inter-American Commission on Human Rights and the Inter-American Court of Human Rights. A chronology of the Human Rights System reform process is available on the Commission’s website. Some of the work of the Commission has been discussed in prior posts. The OAS Permanent Council under Chapter XII of the OAS Charter is the organ that is in overall charge of its activities pursuant to delegations by the OAS General Assembly or other organs. Starting in 1990, the Commission began creating thematic rapporteurships under the leadership of an individual who is an expert in the area in order to devote attention to certain groups, communities, and peoples that are particularly at risk of human rights violations due to their state of vulnerability and the discrimination they have faced historically. The aim of creating a thematic rapporteurship is to strengthen, promote, and systematize the Commission’s own work on the issue. In footnotes to the consensus resolution, Guatemala urged the Commission to (i) move its headquarters from Washington, D.C. to San Jose, Costa Rica (which hosts the Court and the Inter-American Institute for Human Rights); (ii) draft a proposed protocol to the American Convention on Human Rights to establish standards for precautionary measures (akin to preliminary injunctions in U.S. law); (iii) limit the Commission’s commissioners and special/thematic rapporteurs to a single term; (iv) set 2015 as the date for attaining full financing of the System; and (v) placing all rapporteurships under the leadership of the commissioners. The Special Working Group’s report with 53 recommendations for the Commission was adopted by the OAS Permanent Council on January 25, 2012 and ratified by the OAS General Assembly on June 5, 2012. A prior post summarized Lawrence Hill’s novel The Book of Negroes while another post provided a brief look at the relevant historical background of the novel–the fate of the Black British Loyalists in the American colonies during and after the American Revolutionary War. He first heard about the historical Book of Negroes in 1980 when he read The Black Loyalists: The Search for a Promised Land in Nova Scotia and Sierra Leone, a scholarly book by Canadian historian James W. St. G. Walker. Hill immediately knew from reading the Walker book that one day he would write the fictional story of a woman who had to have her name entered into the Book of Negroes. But it took at least 15 years before he felt he was ready to tackle such a large project. In 2002 when he began to research and write the novel, he examined for the first time reproductions of the actual Book of Negroes. Another topic of his research was the activities of the British abolitionists. The size of this project is indicated by the five years it took to research and write the novel. His greatest surprise from his research was discovering that among the Black Loyalists who left Nova Scotia for Sierra Leone in 1792 were some who had been born in Africa and thus were returning home. This back-to-Africa exodus took place 30 years before American slaves went to Africa to found Liberia and more than a century before Jamaican Marcus Garvey urged blacks in the Diaspora to return to the motherland. From the moment of his conception of the novel, Hill said, it was a woman’s story. As a writer, he locates stories in the lives of the people who have the most to lose, and Aminata as a mother had the most to lose. Lawrence Hill’s parents — a black father and a white mother —were U.S. citizens who emigrated to Canada the day after they married in 1953 in Washington, D.C.in order to escape racial discrimination and anti-miscegenation laws. Both of them were involved in the human rights movement, an influence Hill readily acknowledges. Born in Canada in 1957, Hill was raised in a predominantly white Toronto suburb. He has a B.A. in economics from Laval University in Quebec City and an M.S. in writing from Johns Hopkins University in Baltimore. Although Hill always wanted to be a creative writer, he immediately recognized that he needed to have some kind of gainful employment to support himself financially as he was starting his writing career. These sidelines, he acknowledges, helped his creative writing. He spent three years as a journalist with Toronto’s The Globe and Mail and The Winnipeg Free Press and learned how to write quickly on short deadlines and to recognize that his words could be changed by editors. He then spent a year in Spain writing short stories, but realized that his quickly written letters from Spain to friends were more lively and better written. For the next 15 years he was a free-lance speech writer for Canadian politicians and in the process learned how to write for different voices. Hill’s international travels have also influenced his writing, especially his volunteer trips to West Africa. While in Mali, for example, he met a midwife by the name of “Aminata,” which he used as the name of the main character in The Book of Negroes. Now Hill is an accomplished and recognized author. In addition to The Book of Negroes, he has published two other novels, a memoir, three other non-fiction books and the script for a film. He is a member of the Council of Patrons of the Black Loyalist Heritage Society. Hill has received the Diamond Jubilee Medal from Queen Elizabeth II, the Medal of Distinction from Huron University College, the Freedom To Read Award from the Writers Union of Canada, the Award of Excellence from the Canadian Civil Liberties Association, and the Rev. John C. Holland Award of Merit from the Hamilton Black History Committee. Hill also holds honorary doctorates from the University of Toronto, Wilfrid Laurier University and the University of Waterloo. This post is based primarily upon materials on Hill’s own website and his recent remarks at the San Miguel Writers’ Conference. As mentioned in a prior post, the amazing saga of the Black Loyalists in the American Revolutionary War is not widely known. Helping to make it better known is the novel, The Book of Negroes, by Canadian novelist, Lawrence Hill. The novel takes the form of a memoir written in the early 19th century by a West African woman, Aminata Diallo. She starts with her mid-18th century abduction as an 11-year-old girl from her West African village and being forced to walk for months to the coast of the Atlantic Ocean. There she is put on a slave ship that takes her to South Carolina, where she begins a new life as a slave. Aminata is intelligent and as a slave learns midwifery skills and how to read and write. Nevertheless, her life as a slave is not easy. Her story begins to intersect with that of the Black Loyalists near the end of the American Revolutionary War when she goes to New York City. Because she is literate, she is hired by the British to prepare the Book of Negroes, which provides identifying information for Black Loyalists to be evacuated from the City to go to Nova Scotia for a new and promised better life as free people. In Hill’s words, it was like a group passport or visa. Aminata is one of those so evacuated. Life in Nova Scotia, however, is not as easy or as great as the British had promised, as demonstrated in the historical record and in the novel, for Aminata and the other Black Loyalists. Eventually some of the Black Loyalists leave Nova Scotia to go to Sierra Leone in western Africa, as documented in the historical record. In the novel, Aminata is one of those Black Loyalists returning to Africa. Aminata’s fictional life, however, also includes a trip to London, where she is used in the early 19th century by the British abolitionists to support their arguments for ending the slave trade. To her consternation, abolition of slavery itself is not part of the abolitionists’ agenda. Guides for the novel for teachers and readers are available on Hill’s website.The novel is now being made into a TV series. The novel won the overall Commonwealth Writers’ Prize for Best Book, the Rogers Writers’ Trust Fiction Prize, the Ontario Library Association’s Evergreen Award and CBC Radio’s Canada Reads. The book was a finalist for the Hurston/Wright LEGACY Award and long-listed for both the Giller Prize and the IMPAC Award. When my best friend from college who lives in Toronto gave me a copy of this novel several years ago, I had never heard of it and was startled by the title, “The Book of Negroes.” Was this some racist tract? I wondered, but my friend quickly disabused me of that notion. I found it hard to believe that any male writer, much less an assumed white man, could write so beautifully and convincingly in the first person of an African woman. It was only much later that I discovered that Hill is biracial and that his personal history coupled with his writing skills clearly helped him to write this wonderful book. A subsequent post will explore Hill’s comments about the novel and his biography. 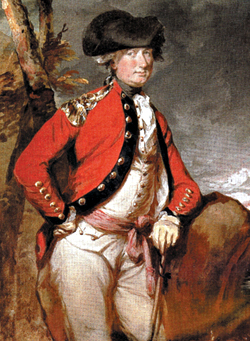 By 1776 the Dunmore Proclamation became general British policy throughout the colonies, and in 1779 Sir Henry Clinton, who was a top British General, issued the Philipsburg Proclamation expanding Dunmore’s Proclamation to include any rebel slave who could escape, ready to serve for the British or not, anywhere in the colonies. Although only an estimated 800 slaves immediately joined the British in Virginia as a result of the Dunmore Proclamation, eventually as many as 30,000 slaves throughout the colonies did so and worked as soldiers, laborers, pilots, cooks, and musicians for the British. 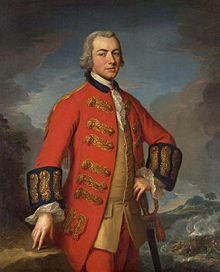 In the final battle of the War, the Battle of Yorktown, in October 1781, the British were defeated, and British General Cornwallis surrendered and thereby abandoned hundreds of black soldiers to the Americans for a return to slavery. 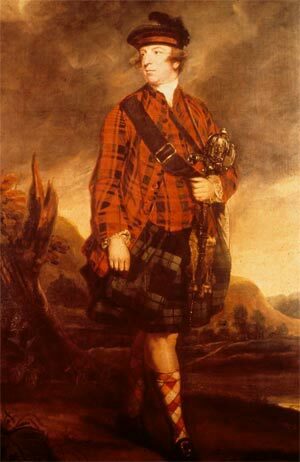 By the winter of the next year (1782), it had become clear that the British would soon have to evacuate the American colonies. At the time thousands of Loyalists were in the British-held strongholds of New York, Charleston, and Savannah. All Loyalists knew that staying in the new country invited retaliation against them by the victorious Americans, and as a result many left the colonies. The Black Loyalists were at the even greater risk of being returned to slavery and subjected to cruel punishment for having escaped. Indeed, the terms of the Treaty of Paris ending the War required the British to return the former slaves to their owners. When those treaty terms became widely known in the colonies, many white slave-owners and their agents from the southern states went to New York City to kidnap and seize their former slaves in anticipation of the signing of the treaty. In addition, the British abandoned some of the Black Loyalists to the Americans or sold them in the West Indies or traded them for White Loyalist prisoners. When the War formally ended with the signing of the Treaty of Paris on September 3, 1783, the British were nearing the end of their seven-year occupation of New York City (then only the southern end of Manhattan). Thereafter, over the next three months, the British evacuated more than 29,000 military personnel, Loyalists and liberated slaves from the City although the Treaty of Paris required the British to return the slaves to their owners. The Black Loyalists on the List of Negroes were taken to British-controlled Nova Scotia where they formed the first free settlements of free Africans outside Africa. Despite British promises of freedom and land, they soon were subjected to racial discrimination and even slavery and to very difficult conditions. By the 1790’s the Black Loyalists had given up hope of fair treatment in Nova Scotia. They were ready to leave for a new promised land, and soon their opportunity arrived in the form of the Sierra Leone Company, eager to recruit Black Christians for their new colony on the west coast of Africa. Many of the Black Loyalists decided that an uncertain future in Africa was better than certain misery in Nova Scotia. 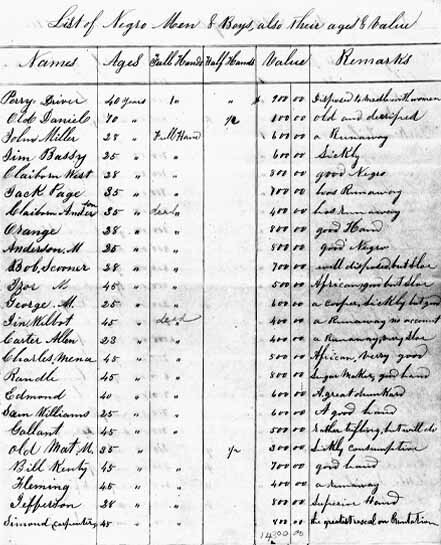 In January 1792,15 ships with over 1,100 Black Loyalists left Nova Scotia. When they arrived in what is now Sierra Leone in March of that year, they met conditions that were not better than what they had left. Today the descendants of the Black Loyalists from Nova Scotia are an important ethnic group in Sierra Leone and still meet and dominate certain churches. As a white U.S. citizen in 2013, I confess that I did not know any of this history until I had read the Lawrence Hill novel about The Book of Negroes and did research for this and the earlier post referencing the novel. For the African slaves in the colonies in 1775, the Dunmore Proclamation must have seemed like the once-in-a-lifetime opportunity to escape the horrors of slavery. Yet it required great courage for anyone in those circumstances to attempt to, and actually, escape slavery in the hope that they would be free people. I give thanks for their courage and for their descendants’ creation of a Canadian society to honor their ancestors’ courage and history. At the same time, once must also acknowledge that the estimated 30,000 Black Loyalists were only roughly 10% of the black slaves in the colonies at the time. The other 270,000 black slaves did not have the courage to try to escape or for whatever reasons had decided to cast their lot with the rebelling colonists. Some even fought for the colonists in the War. It would be interesting to know more about them. 1 This post is based upon secondary sources, primarily upon the superb “Black Loyalists: Our History, Our People.” I encourage comments correcting any errors in this post or amplifying on the history of the Black Loyalists. 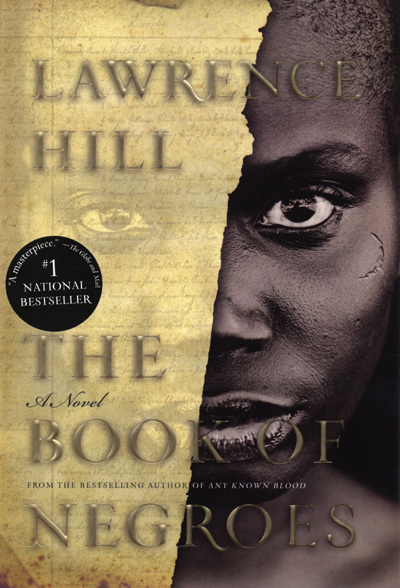 3 “The Book of Negroes” was mentioned in a prior post along with the novel of the same name by Canadian novelist Lawrence Hill. A subsequent post will discuss recent comments about the novel by Hill along with some of his biographical information.